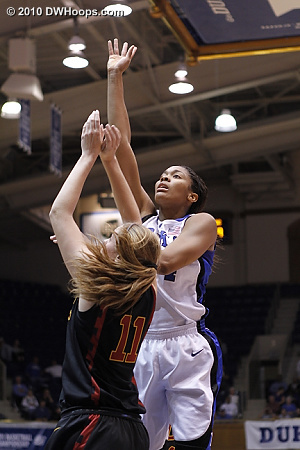 DWHoops Members may log in to view an additional 60 photos on this page - 50 free photos are below. 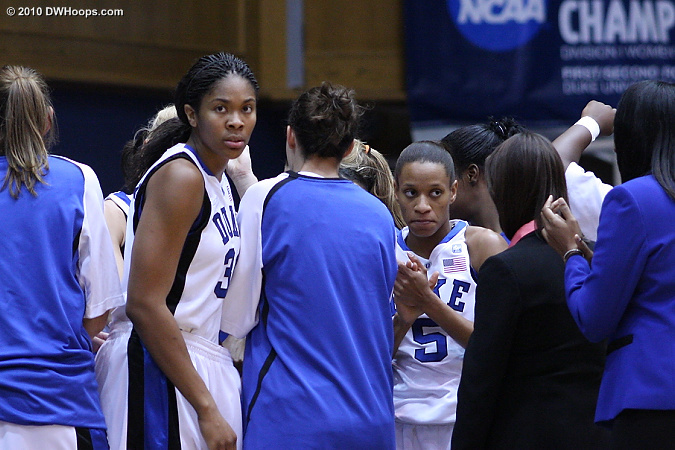 Our photo galleries are entirely member supported. 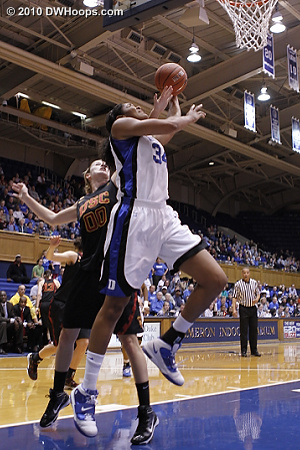 For information on becoming a DWHoops member for the 2010-11 season, please click here. 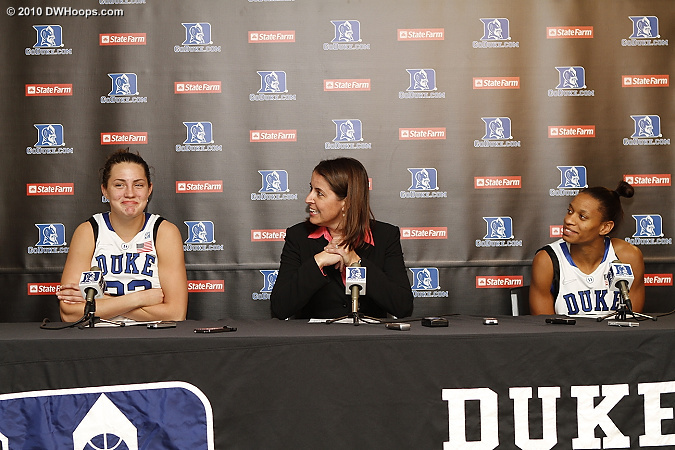 Editor's Note: Captions will be added Tuesday. 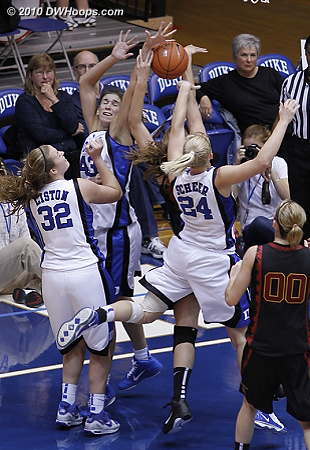 Krystal Thomas goes strong against Kari Laplante (left) and Cassie Harberts. 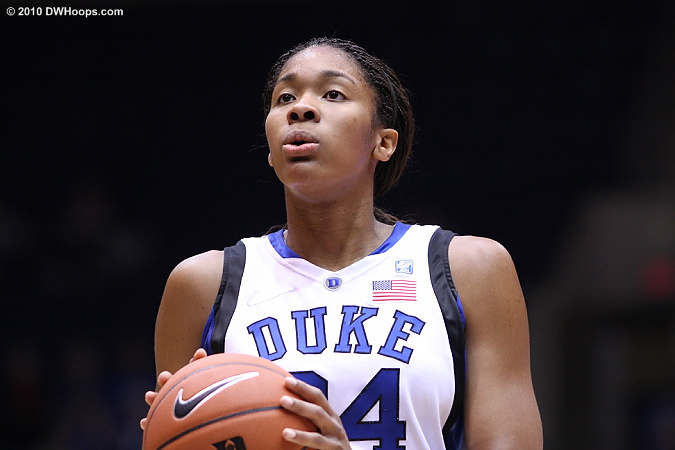 A wide open look for Jasmine Thomas, more often than not teams pay for it. 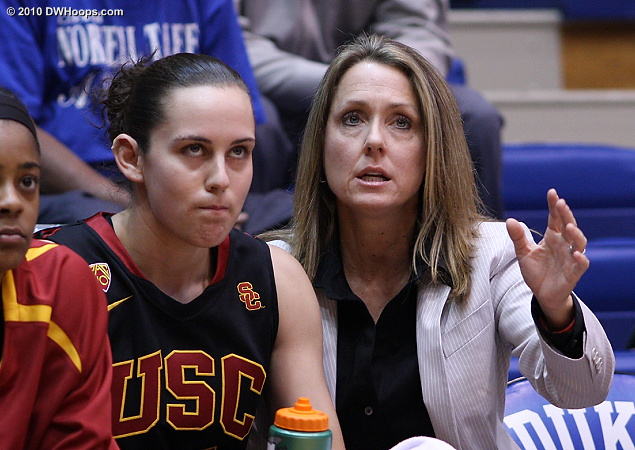 USC assistant Laura Beeman counsels Jacki Gemelos after her second quick foul. 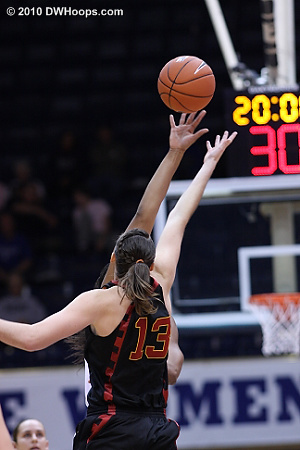 Allison Vernerey scores and is fouled by Kari Laplante. 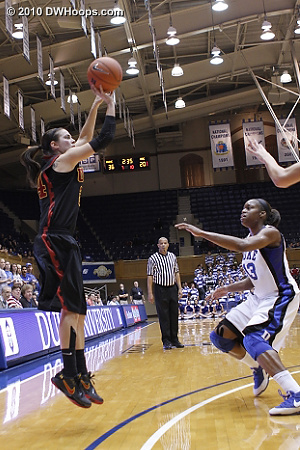 Vernerey follows through and her free throw goes down. 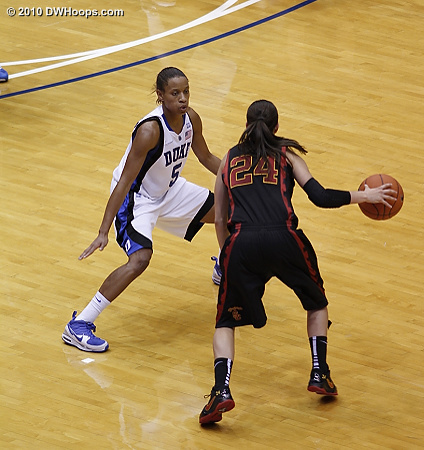 Chloe Wells pulls down the ball after forcing a USC turnover. 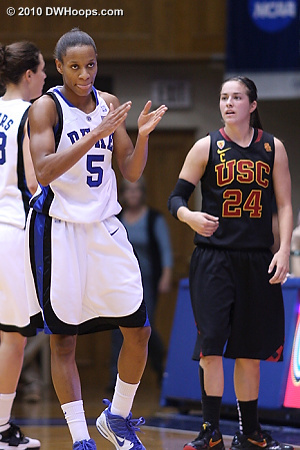 Jasmine happy after forcing a turnover. 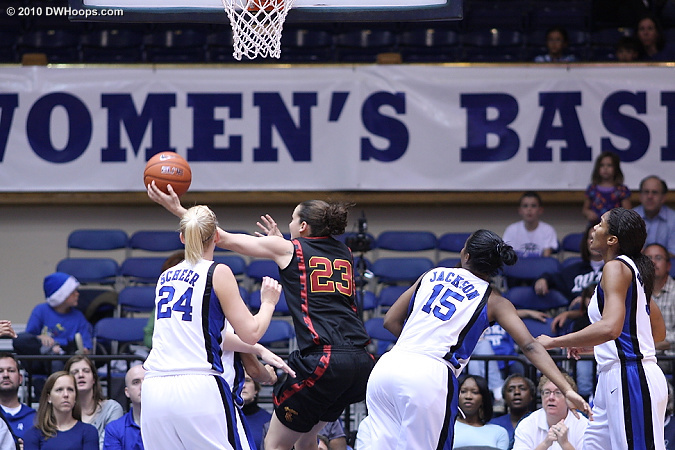 Richa Jackson drives past Christina Marinacci. 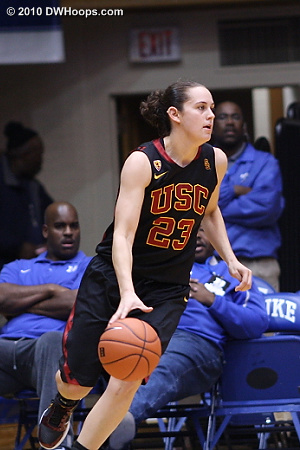 Kari Laplante appears to realize that USC's sets just aren't working. 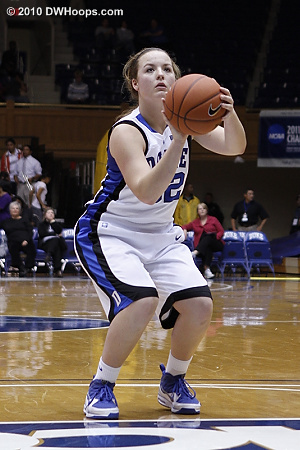 Haley Peters starts the Duke break. 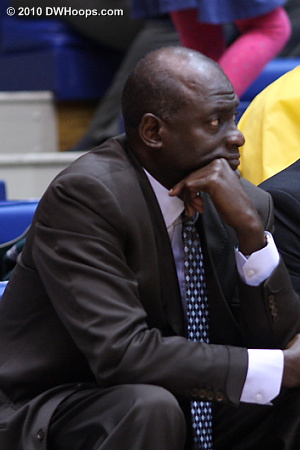 USC Head Coach Michael Cooper on the bench as his Women of Troy fall further behind. 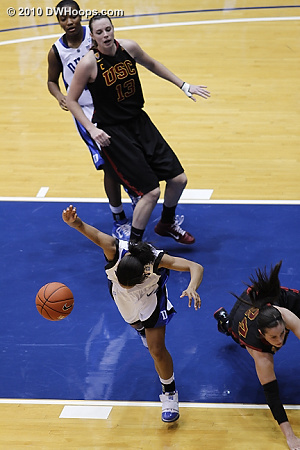 Jasmine Thomas slides in front of Gemelos and is called for the block. 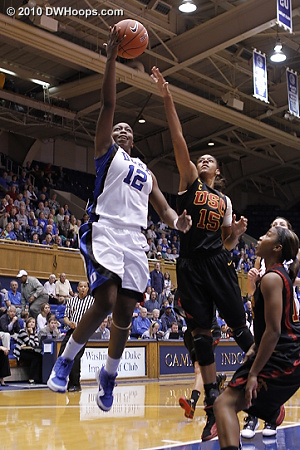 Jasmine Thomas had a tough (3-10) night from the floor, but other Blue Devils stepped up offensively. 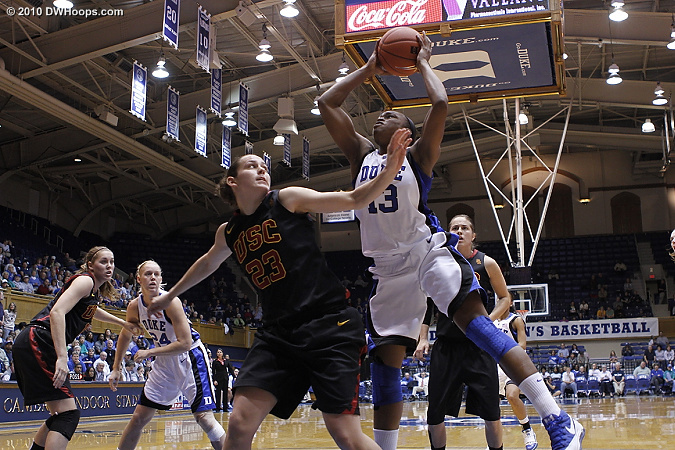 K.Thomas fouled from behind by Marinacci. 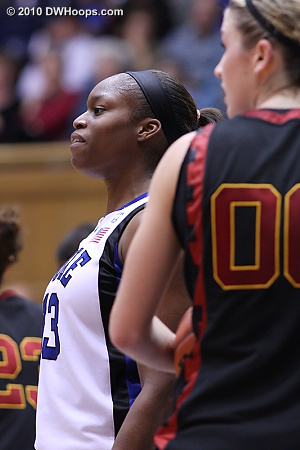 Krystal Thomas taking one of a series of deep breaths on the line, it appeared to work. 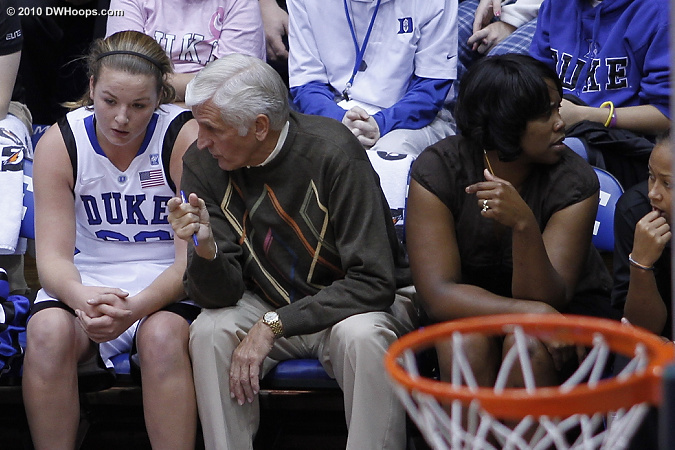 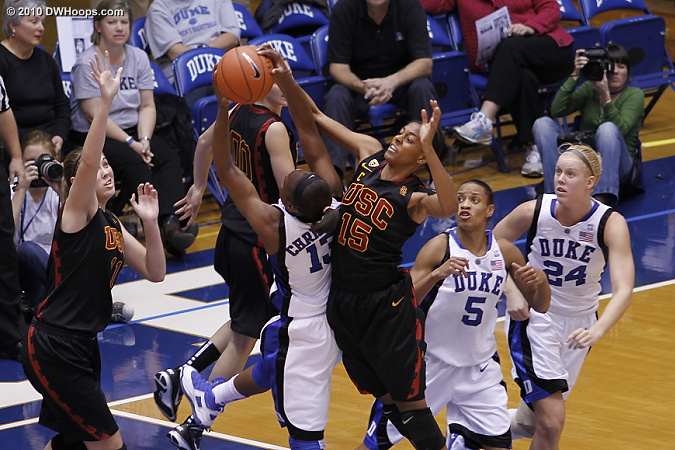 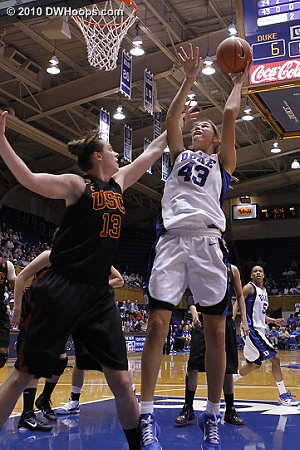 Against Duke's defense the Women of Troy were often reduced to taking shots with a high degree of difficulty. 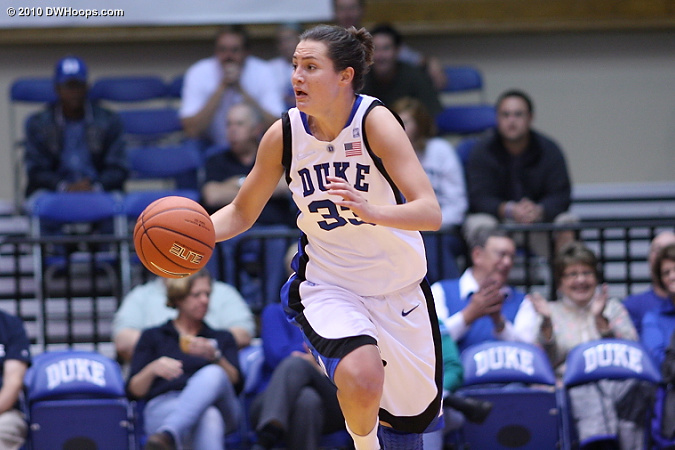 Gemelos picked up three fouls in the first half, only playing nine minutes. 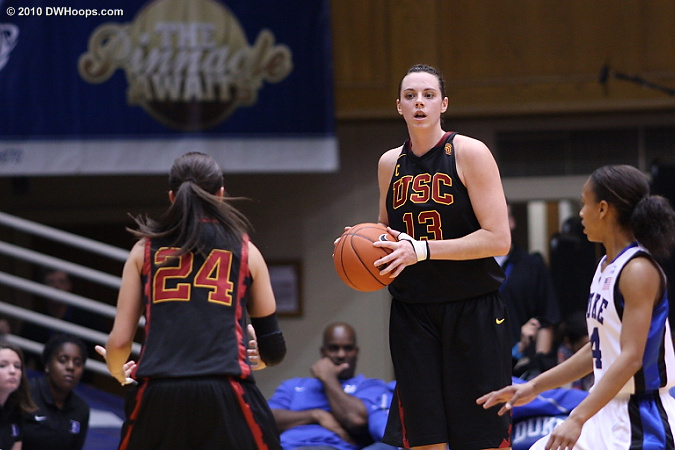 Haley Peters helps up Karima Christmas after a USC foul. 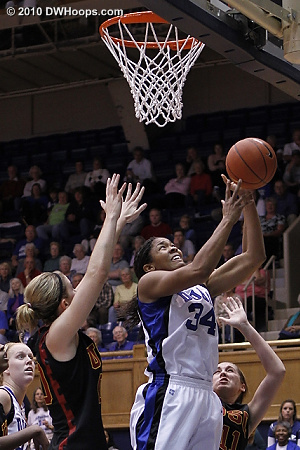 Jasmine Thomas soars to the goal. 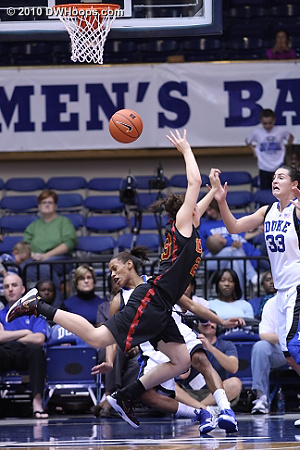 Ashley Corral was frustrated by Duke's defense. 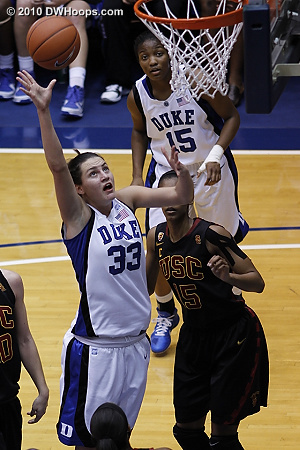 Even when she got open looks she came up empty (0-6 3FG). 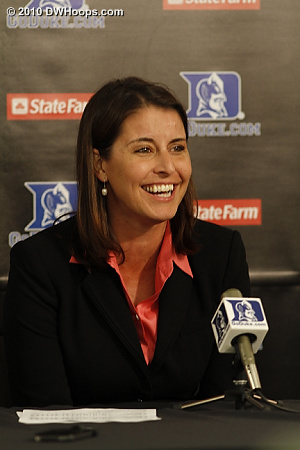 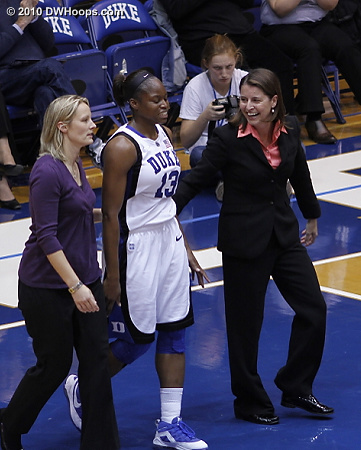 Coach P is glad that Karima Christmas wasn't really hurt after drawing a charge. 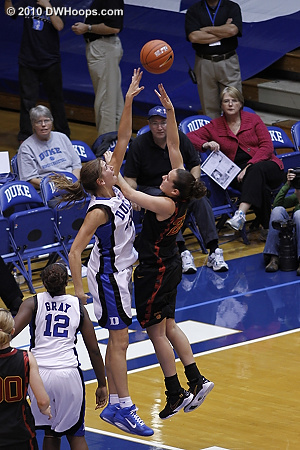 Allison Vernerey was active on defense though Gemelos scored over her here. 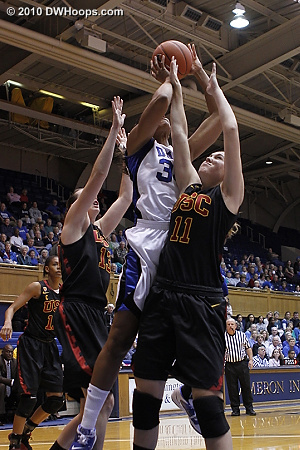 On this possession Jasmine Thomas kept forcing Ashley Corral further and further from the goal. 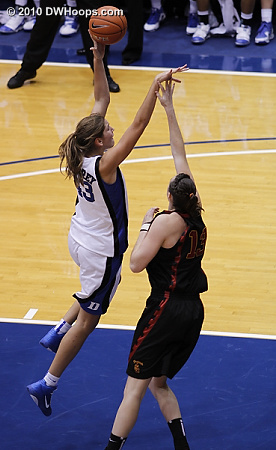 Allison Vernerey finishes a lefty hook. 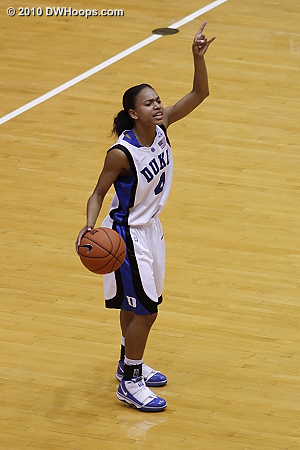 Chloe Wells directing the Duke offense. 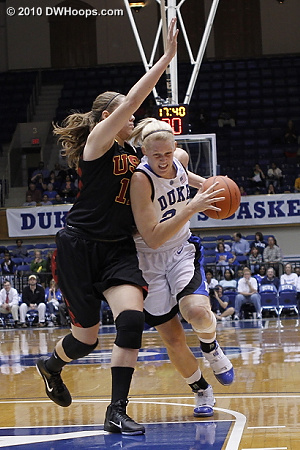 Haley Peters finished with seven points and thirteen rebounds. 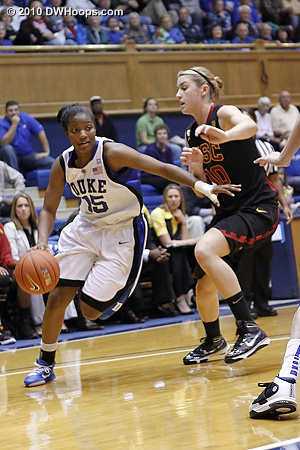 Krystal Thomas had a solid second half. 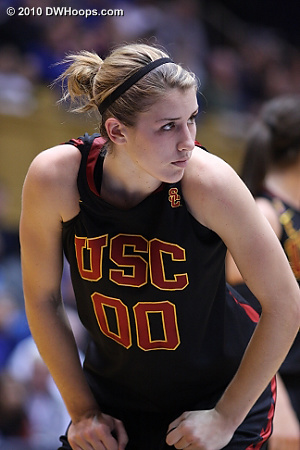 Scheer's circus shot didn't fall against USC. 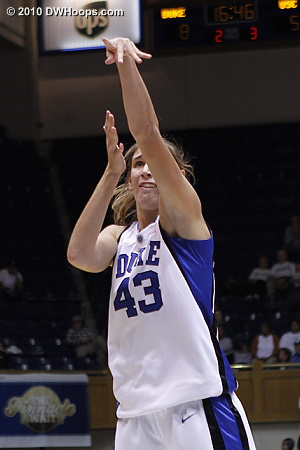 Tricia Liston scored her first career point from the free throw line. 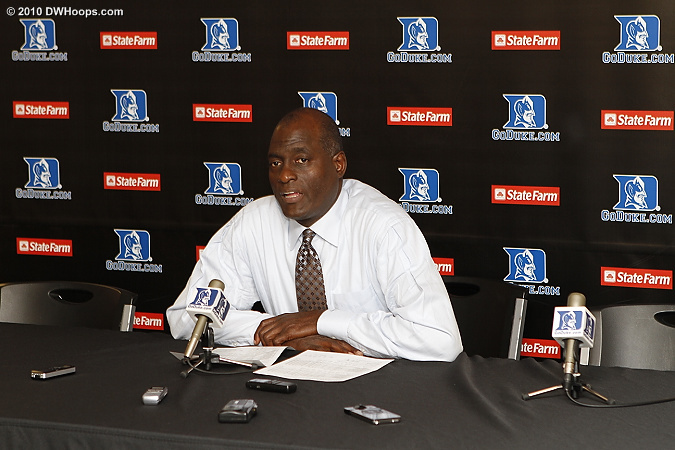 Michael Cooper told the assembled media, "Momma said there'd be days like these." 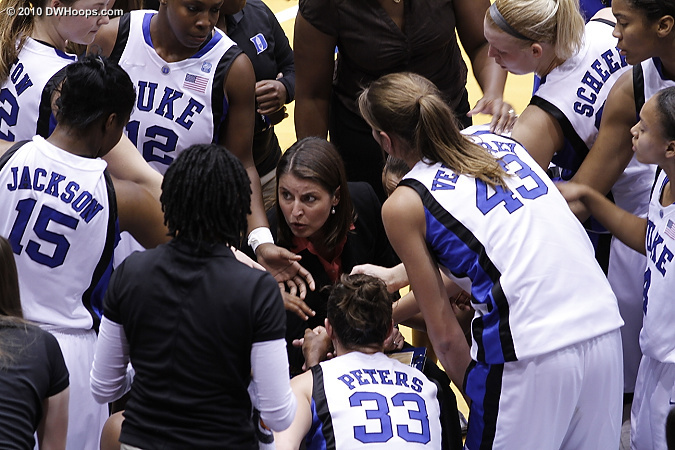 Win #400 for Coach P tonight. 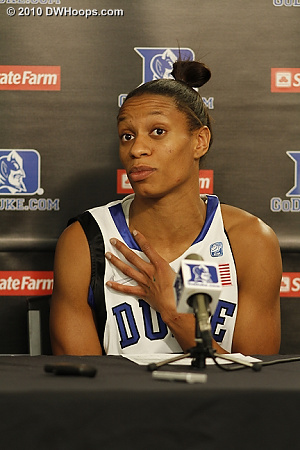 Jasmine Thomas said that sometimes she talked too much, and needed to step back to let Chloe Wells and Chelsea Gray learn.